Plants are mostly water. Thus, their physical structure is mostly plumbing. Seen in a microscope, plant biomass looks like bundles of pipes, tubes and tunnels to move water around. 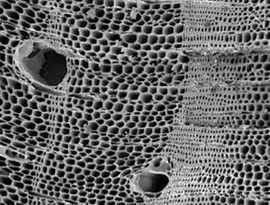 Amid these stacked water channels are larger cavities, occupied by plant cells. 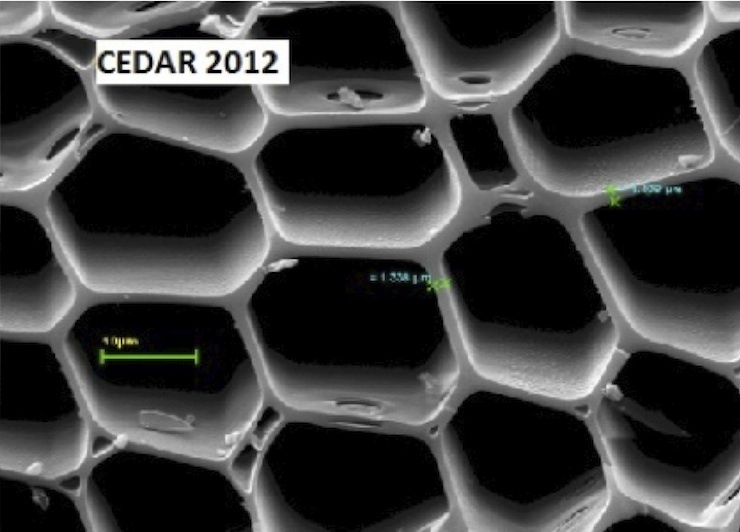 Properly cooked at low temperatures, biochar’s physical structure preserves the smallest details of these microscopic pores. Why use Terra Char soil amendment?